View cart “Emerald Green in Akiko Pot” has been added to your cart. 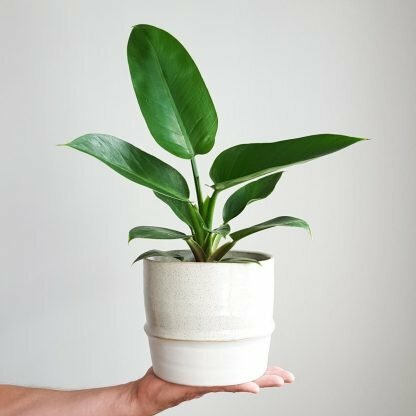 Easy to care for greenery with simple leaves. Philodendron Emerald Green is a tropical beauty featuring large simple leaves that are bright green in colour. It likes a warm bright spot and weekly watering. 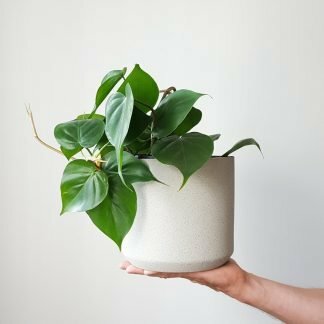 We’ve paired this Philodendron plant with the lovely Akiko planter, featuring a reactive glaze and a hand crafted feel. 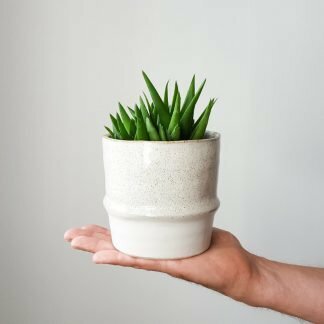 The large Akiko pot is made of stoneware and has no drainage hole. Pot dimensions: 17.5cm diameter x 16cm tall.